Agar is the product of several species of seaweed. It is also known as agar-agar. In Japan, agar agar is referred to as kanten. Hundreds of years ago, the Japanese and Chinese learned how to freeze-dry and dehydrate the fern-like fronds of this seaweed and form them into kanten bars. These bars were used as gelatin. Different from gelatin in some ways, agar does not melt easily. Its texture is also more firm. Agar has a slightly sweet flavor and contains no calories, which is useful if you are looking for a low calorie food. And it’s of course an amazing culinary ingredient. It’s a vegetarian gelatin substitute, a thickener for soups, in fruits preserves, ice cream and others desserts. A jelly made from agar agar flavoured with lemon used to be food fit for invalids in the 19th and early 20th centuries, although now it is usually not used in medicine. Agar agar does have use as a mild laxative however, as it plumps up in water and in the gut, so can help to remove toxins, fats and sugars from it. You can mix it with fruit juice or milk for this purpose, and shreds of it are better than powder. As you would expect from an algae, agar agar is rich in iodine and trace minerals, as are laver bread and bladderwrack. You can buy it in transparent strips or powder and use it for aspic jelly. 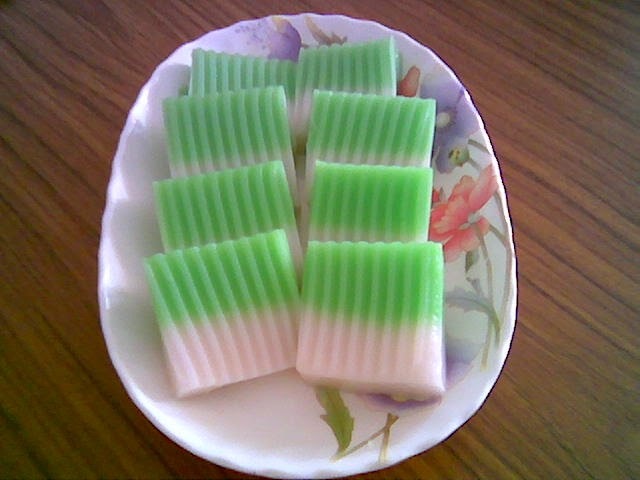 Agar agar is a good source of calcium and iron, and is very high in fiber. It contains no sugar, no fat and no carbohydrates. It is known for its ability to aid in digestion and weight loss. It carries toxic waste out of the body. It is also used in some parts of the world to treat hemorrhoids. Other benefits associated with agar are its ability to reduce inflammation, calm the liver, and bring relief to the lungs. Agar agar is also considered a mild laxative and not recommended for those with weak digestion or loose stools. In pharmaceutical industry agar agar can be treated as one of raw material for capsules packing medicines, vitamins, laxatives mix and toothpaste. 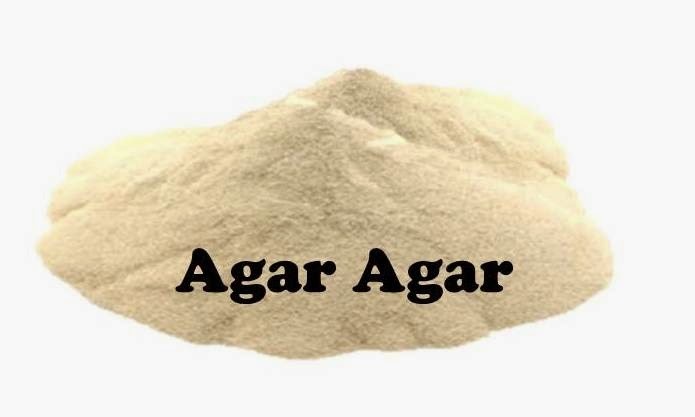 Agar agarr is also specified for laboratory solidifying agent for microbiological medium and plant tissue cultures. It could be developed into agarose for molecular analysis. Agar agar has no calories, no carbs, no sugar, not fat and is loaded with fiber. It’s free from starch, soy, corn, gluten, yeast, wheat, milk, egg and preservatives. Agar agar absorbs glucose in the stomach, passes through digestive system quickly and inhibits the body from retaining and storing excess fat. Its water absorbing properties also aids in waste elimination. Agar agar absorbs bile, and by doing so, causes the body to dissolve more cholesterol. Agar agar is the perfect substitute to traditional gelatin. It’s made from a plant source rather than from an animal one. That makes it suitable for vegetarian and vegan diets, and other diet restrictions. Agar agar has no taste, no odor and no color, which makes it pretty convenient to use. It sets more firmly than gelatin, and stays firm even when the temperature heats up. Agar agar is a food ingredient of good source of soluble fiber diet for more healthy life. It serves as detoxifying agent. It can prevent blood vessel, coronary disorders, hypertension etc.. Agar agar is also acts as common therapeutic use such as a laxative, a potential treatment for hyperbilirubinemia and for glucose intolerance in type 2 diabetes mellitus. In cosmetic industry, can be used to soften and moisturize skin and hair. Therefore, a number of cosmetic manufacturers are starting to use aagar agar as one of the raw material in making lipstick, soap, ointments, lotion and cream. Break up kanten bars into pieces. Wash them and wring them out. Soak them in liquid for 30 minutes, then strain. If using flakes or agar agar powder, soften them in liquid. Dissolve 1 tbsp agar flakes or 1 tsp agar powder in 4 tbsp hot water or you should definitively follow the package directions and the recipe to determine which quantity to use. Dissolve agar agar in boiling water or broth. Moisten a glass bowl and allow the agar to set in the refrigerator or at room temperature. Serve agar in a glass bowl or cut it into slices or cubes. 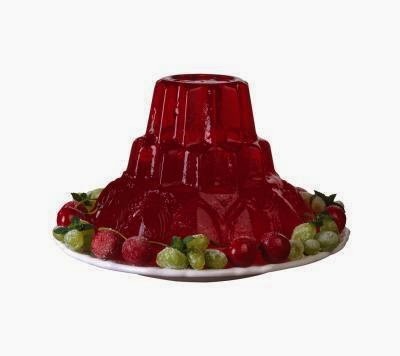 Recipes for agar agar can be found for pies, fruit desserts, jams, jellies, custards, puddings, and vegetable molds. An example of a recipe for jelly made from agar would include water, agar powder, rose essence, vanilla and drops of food coloring. To sweeten, you would use sugar or a sugar replacement of your choice based on your particular diet regimen. A good thing to know when working with agar is that agar agar will not set in wine vinegars or in distilled water. It will also not set in foods containing a large amount of oxalic acid, such as chocolate or spinach. Overall, agar agar is a calorie-free food, agar agar has many benefits. Besides its health benefits, it allows you to create new desserts and snacks that are flavorful but do not contain unnecessary calories. Also, given that gelatin is often made from animal tissue, some vegetarians consider agar as a good alternative for preparing gelatin-based desserts.